It is the day after Liberty’s basketball season came to an end. It was not just any season, it was the best season this program has ever had. I will spare you all of the details, because it seems increasingly unlikely that you are not already familiar with this team’s accomplishments. Needless to say, last night’s loss to Virginia Tech will stick with players and fans for a while, because the Flames very well could have won. It was not some Cinderella team out there. The Liberty Flames belonged in that tournament, and they belonged on the floor competing with some of the best college basketball had to offer. That realization is pretty incredible when you consider where this program was when Coach Ritchie McKay took over in 2015. 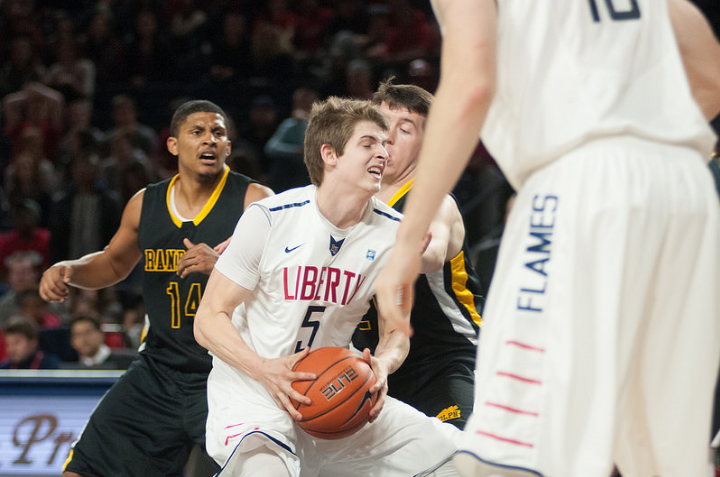 The Flames finished the 2014-15 season ranked #347 out of 351 Division 1 teams. Liberty finished this regular season #58 out of 353. So with that being said, as we look back at this magical season, a number of facts are abundantly clear. 1. Ritchie McKay represents the best Liberty University has to offer. The way Coach McKay conducts himself, on the court, off the court, and in the media is impeccable. He’s humble, gracious, intelligent, and witty. The man shows the sort of leadership and integrity that we should expect from a spokesperson for Liberty University. There is no one better to be the public face of this institution than Ritchie McKay, and at no point was this more obvious than in the wake of the Flames’ upset win over #5 seed Mississippi State. The Liberty Head Coach spoke immediately afterward about the importance of building a Christ-centered program, and how this success would not have come without Him. He then moved onto the press conference, where a flawlessly timed, deadpan quip about promising to take the team to In-N-Out Burger motivating them drew laughter and went viral. He speaks with sincerity about his love for Liberty University, and the people here nearly every time there is a microphone near him. He gets it. He gets who we are, who we are supposed to be, and why Liberty University is so special. There are never any cringe worthy exchanges or tweets. You always know you will be proud to be a Liberty Flame when Ritchie McKay is representing the school, because he represents Christ first. 2. McKay is the best Head Coach Liberty University could have. McKay has always been known as a brilliant X’s and O’s guy. 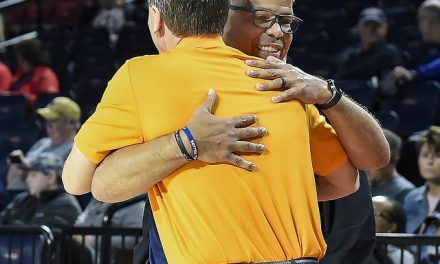 However, since returning from his role as an assistant to Virginia Head Coach Tony Bennett, Coach McKay’s game has gone to another level. He likes to say he “earned a Master’s Degree in the Packline Defense” while he was there, but its clear there is much more than that. There is so much more intricacy and nuance to his schemes than in his previous stint as Liberty Head Coach. It really seems as if Coach McKay’s coaching “grew up” in Charlottesville, and the Flames are reaping the benefits. 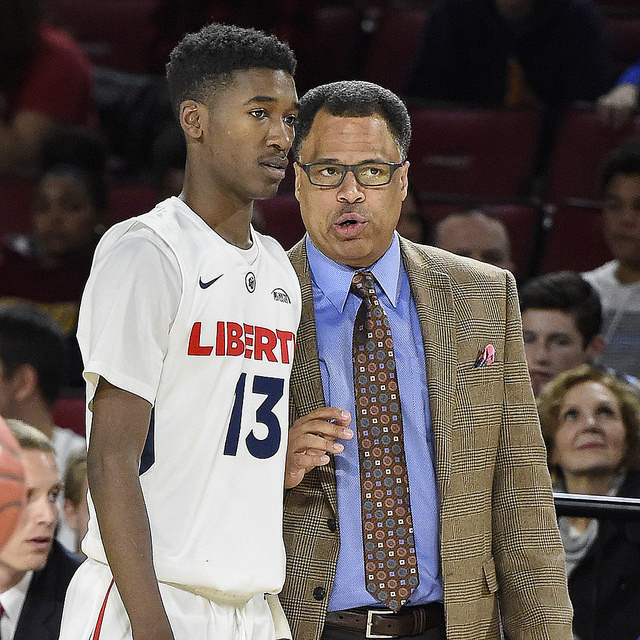 He has shown himself to be an excellent recruiter as well, and if you look at the talent Liberty has coming in for next season, you have to be excited about the future of the program. The turn around, building Liberty into a top 50 type of program in just a handful of years, is unprecedented in school history, and maybe the most impressive in the country. 3. Ritchie McKay is underpaid. The amount of good publicity Liberty University got in these last two weeks was incredible. I do not believe it is an exaggeration to say it was worth millions. This institution isn’t normally known for positive headlines from the press, but thanks in large part to Ritchie McKay, that is exactly what they got. According to the last available IRS numbers, for the 2016-17 season, Coach McKay was paid roughly $644,000. For some perspective, I have selected a handful of coaches, at both public and private institutions, and listed their salaries. Looking at this list, there are some Majors, and some Mid-Majors, but one thing is clear across the board. These coaches bring value to their universities and they are being compensated accordingly. 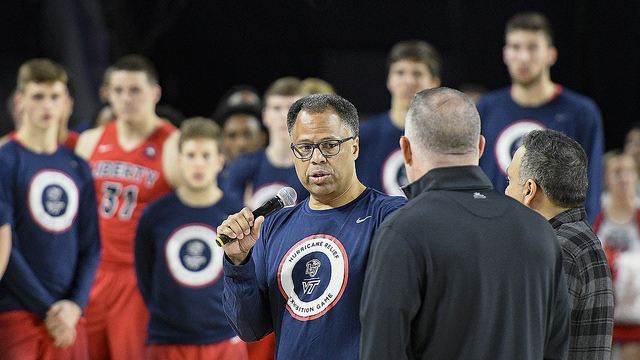 So what is a coach like Ritchie McKay worth to a school like Liberty University? This is a man who not only has built the best team in school history, but the best four-year run in program history…literally from the bottom of Division 1. This is a man who not only gets Liberty University’s mission of building Champions For Christ, but he lives it. As an institution looking to use athletics as a means of ministry, there could be no better leader than Coach McKay. It is time to extend his contract, and make it lucrative enough that he never wants to go anywhere else to coach basketball. He’s proven what he can do here, and he’s proven his value to the University. Let’s make sure he is around for the long haul. Liberty University boasts that it has 65,000 undergraduate students, a billion dollar campus makeover, and Power 5 level athletic facilities. All of this is true. Liberty Men’s Basketball also employs a Power 5 level Head Coach. It’s time he got paid like one. Duke is a former Liberty University ice hockey player, and 2004 alumnus.